The CCF has branches in all states and territories and has around 2000 Contractor and Associate members nationally. CCF members are responsible for the construction and maintenance of Australia’s infrastructure, including roads, bridges, pipelines, drainage, ports and utilities. The Civil Contractors Federation is an organisation registered under the Fair Work (Registered Organisations) Act 2009. It is governed by a National Board comprised of member-elected representatives from each state and territory. 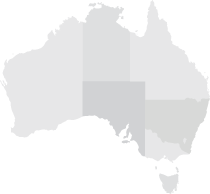 CCF branches are in every state and territory. Each branch has an elected board made up of Contractor Members who provide governance and strategic direction, and a Chief Executive Officer who is responsible for the operations and service delivery of the branch. The CCF is committed to furthering its members’ interests and helping them manage their businesses more effectively. We offer effective business tools and management systems, as well as practical advice in areas such as taxation, industrial relations, workplace health and safety, human resources and environmental compliance. Through strong advocacy we influence government policy at Local, State and Federal levels.